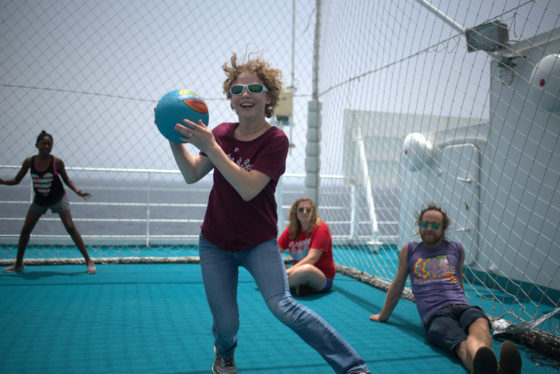 The ship offers a living and learning environment for your journey unlike any other. 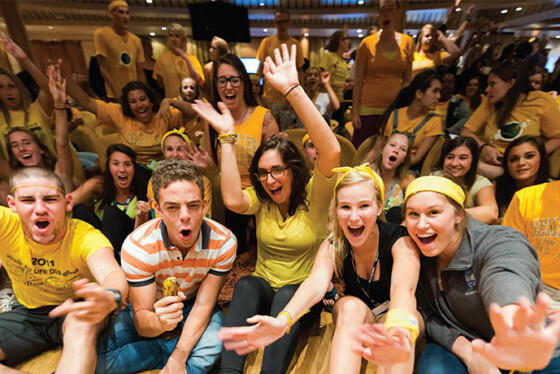 Between adjusting to classes, meeting new friends and tackling global issues you will discover the joys of shipboard life. 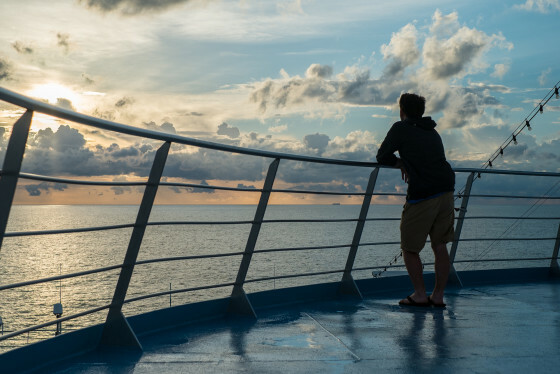 Alumni often describe their time on the ship as one of the “most remarkable communities” they have experienced and is what they miss the most when the voyage is over. For this reason, the ship is your final port of call. 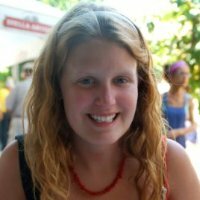 The community you will establish and memories you create all center back to the vessel that transported you on your global, study abroad experience. 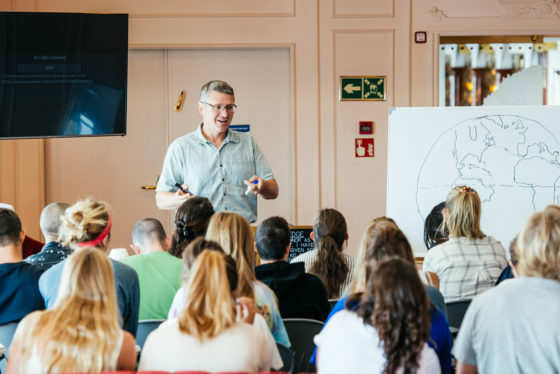 Semester at Sea’s passenger ship is outfitted as a globe-exploring university; a living-learning community that provides a platform for discussion, coursework and deep connections all while traveling to new locations. 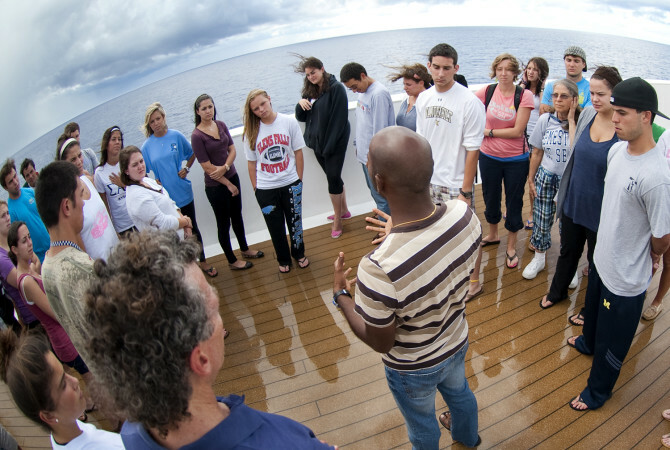 Every aspect of the shipboard learning experience encourages discovery and growth. 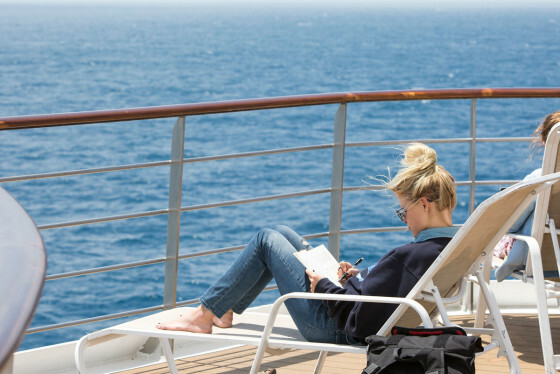 With a campus that moves, the ship creates opportunities to learn without wasting a moment during travel. 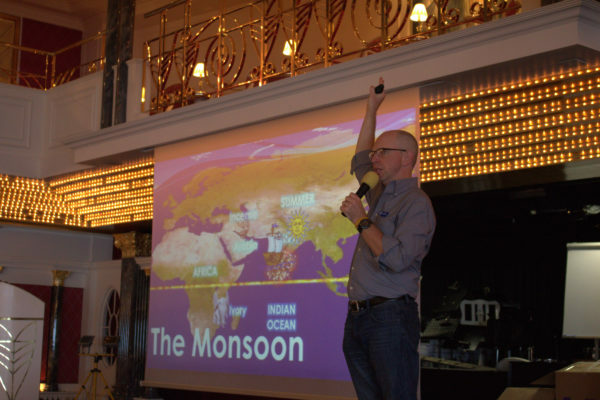 The ship allows students to learn about the countries on the itinerary while they are en-route. Every course is geared toward the countries that are visited and pre-port and other seminars are created with this in mind. The shipboard community is a vibrant example of bringing the best and the brightest together to create something special. 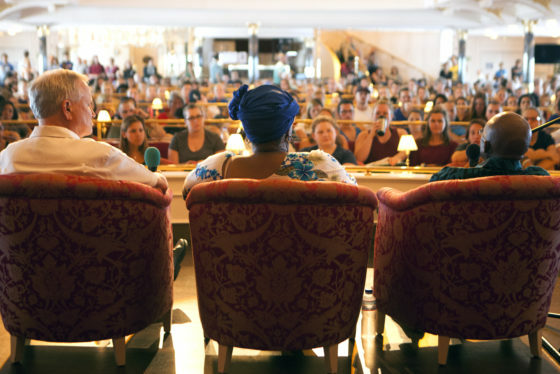 Along with an all-star faculty and staff, there will be interport lecturers and students who are guests visiting the ship from countries on the itinerary. Other shipboard members include ambassadors and special guests. 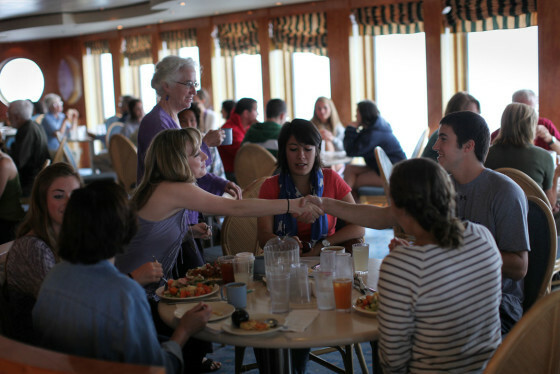 The shipboard environment is a close, intertwined community that gives you unprecedented access to these visiting individuals. Our floating campus is the ideal place where students and professors live, work and socialize together. 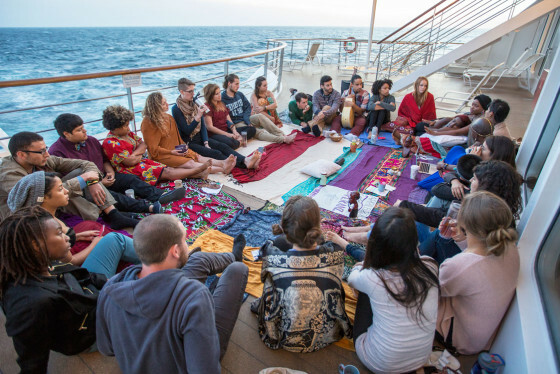 Semester at Sea’s living-learning community provides a platform for education, discussion and deep connections all while traveling to new locations. 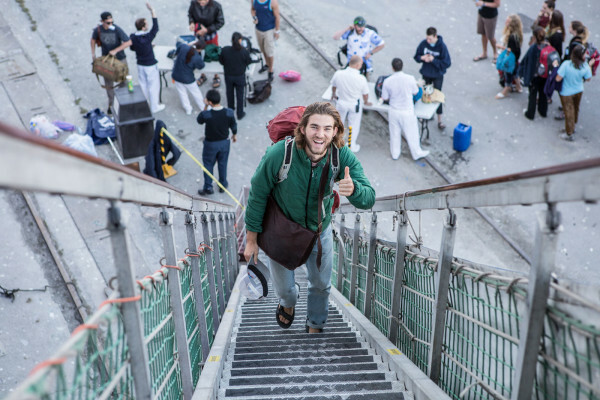 Every aspect of the shipboard learning experience encourages discovery and growth. 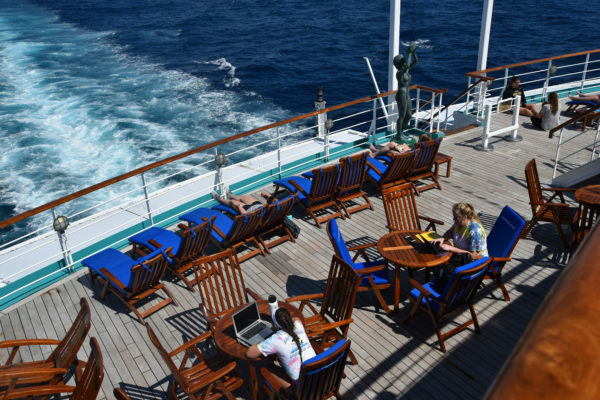 Equipped with classrooms, a student union, wireless Internet, library and many of the amenities you’d find on a land-based campus, the ship functions as both a traveling university and residential home to more than 1,200 participants each year. When the ship as at sea, you will attend classes to earn credits that are relevant to your degree. The courses are carefully planned to maximize your learning and give you crucial context to the countries on the itineraries and the voyage as a whole. As part of the daily flow of life on the ship, meals become an integral part of your shipboard experience. Eating with different people from all walks of life gives you even more opportunities to see new perspectives. Breakfast, lunch, and dinner are only served in the dining areas during specific times. 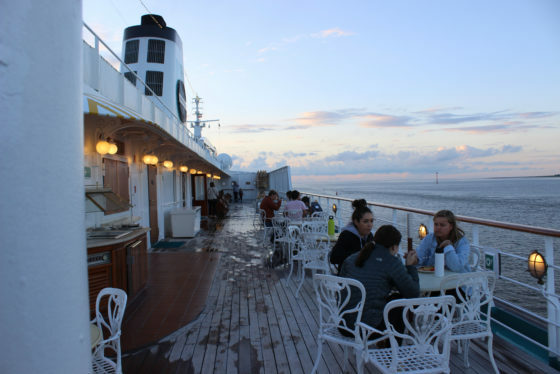 There are also snacks, drinks, and hot food available for purchase in different areas of the ship. 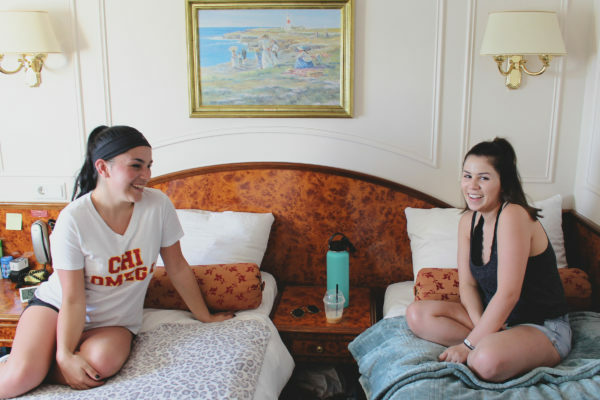 Between co- and extra-curricular activities, student groups, exercise, studying, reflection and shipboard traditions your days will be packed with things to do. Success in your courses is the most important aspect of your voyage. There are many quiet spaces to find to complete your course work, research and study up on the places you will be visiting. 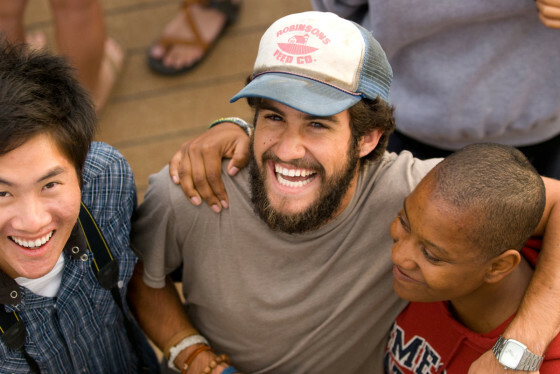 Physical and mental health are at the cornerstone of a successful voyage. There is fitness equipment available in the gym as well as outdoor space for exercise, swimming and other activities. There is a team of doctors, nurses and counselors available to all participants. With so many cultures, concepts and environments there is plenty of time for students to relax, reflect and contextualize their experiences. Sailing together, traveling in many countries and experiencing the world helps to form strong bonds that last a lifetime. 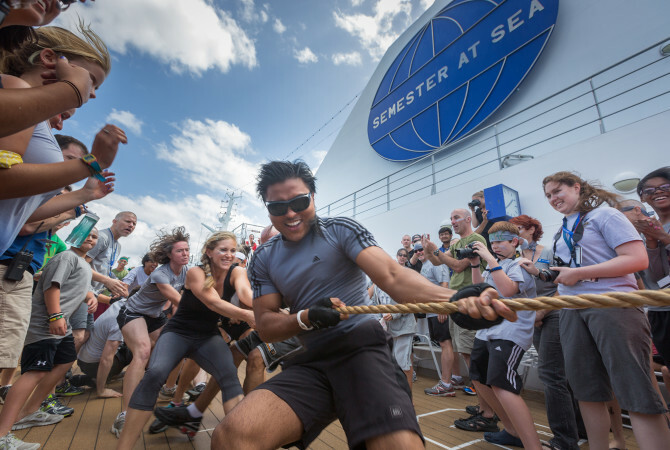 The unique shipboard community of every voyage becomes a family of 600+ shipmates that forever remain an integral part of one another’s lives. Semester at Sea was absolutely the best experience of my life... It is not a cruise - it's a voyage! 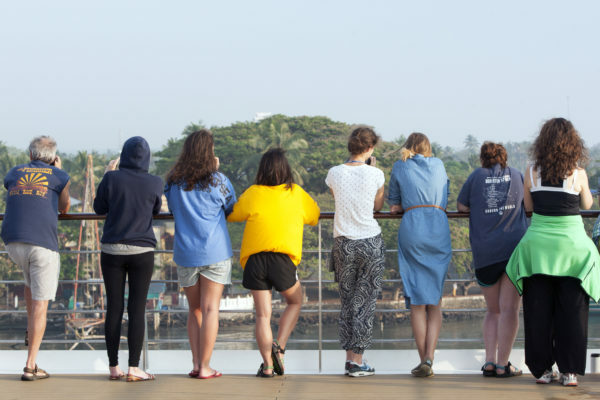 With SAS you will be able to travel the world, meet some of your future best friends, make awesome connections with faculty and staff, and change your world view. ... It is a conversation starter and something that will really make you stand out. I cannot say enough great things about SAS and cannot think of a single negative thing to say about it. The only "bad" thing I can think of is that you will fall so in love with SAS that you will do anything to get back on the ship."